Brandon Roy, who was put in jail after a relapse in his heroin addiction, committed suicide in his cell. Brandon Roy had two years clean under his belt and a brand new baby girl at home with his fiancée in Dartmouth, Massachusetts, when Bristol County Sheriffs' officials said they found him hanging in his jail cell last November. Roy, 27, had recently relapsed in his heroin addiction, and when he entered the Bristol County jail in Dartmouth on Halloween, he carried the burden of a serious medical condition and a nationwide epidemic into a system still scrambling to adapt. He was one of eight inmates in the state who killed themselves in county jails in 2016 - part of a growing wave of suicides in jails that began to build concurrently with the opioid addiction epidemic. “I believe the jails, as I see it, aren’t trained, are not staffed to take care of this population,” Karen Roy, Brandon’s mother, said in an interview with NBC Boston. As heroin use and overdoses skyrocket, some sheriff-run jails around the Commonwealth have experimented with different treatment and care ideas. But data from the Massachusetts Sheriffs Association shows a sometimes gaping disparity of treatment staff and options depending on the county a suspect happens to be arrested in. Inmates suffering from acute drug or alcohol withdrawal may be segregated from the rest of the population, but often are not constantly supervised by medical staff. Instead, they are watched by county corrections officers and given scheduled access to counselors, psychologists, and AA- and NA-like meetings. Opioid withdrawal symptoms include sweats, nausea, diarrhea and muscle pain. At its worst, withdrawal can include tremors, severe anxiety, and hallucinations. “I’ve seen him go through withdrawal here," Karen Roy said of her son. "It’s awful, awful. They get sick. It’s terrible." Brandon Roy did not go to the infirmary or seek treatment for addiction or withdrawal while at Bristol County jail last year. His parents and fiancée said at least one of them talked to him every day between Halloween and Nov. 2, the day he was transported unconscious to St. Luke’s Hospital in New Bedford. Bristol County Sheriff Thomas Hodgson, through a spokesman, declined requests for an interview and would not issue a statement on suicides in his jail. 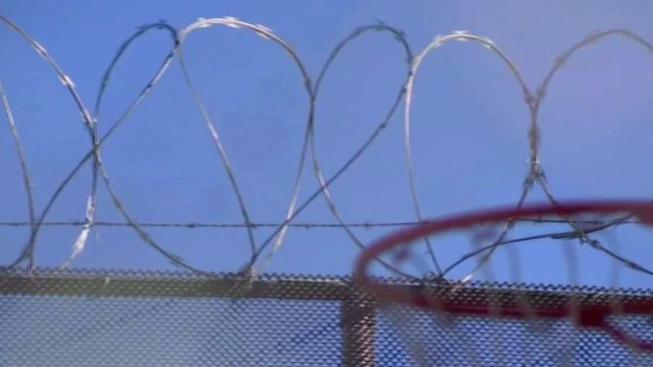 Massachusetts jails and prisons have the highest inmate suicide rate in the country, more than triple the national average, according to data from the U.S. Department of Justice. Suicides in county jails now are driving that rate, interviews and a review of county, state, and federal data and reports reveal. The large majority of those jail suicides were pretrial, meaning they had not been tried or convicted of the charges that landed them in jail to begin with. Drug addiction is a major contributing factor, officials said. “When you look at 90 percent of your population addicted to drugs and alcohol, like in Middleton where you’re releasing probably about 1,300 people to the streets yearly, the chance of someone either trying to commit suicide or successfully committing suicide in this climate is very high,” former Essex County Sheriff Frank Cousins said. In December 2015, Cousins launched a full detoxification program inside his jail. That year, four inmates killed themselves while in his custody in Middleton. The 84-bed unit, split evenly between men and women, treats about 600 people per year, he said. Inmate suicide in Massachusetts follows two story lines, each unspooling at different times in the state’s two main incarceration systems. The first is inmate mental health and suicide prevention efforts in state prisons, which house those with long-term sentences, run by the Massachusetts Department of Correction. The second, which flared up just as suicides at the state level fell, is of arrestees addicted to heroin awaiting trial in sheriff-run jails. Suicides in state prisons hit highs in 2006 and 2010, with seven and eight suicides respectively. After a series of investigative pieces by The Boston Globe’s Spotlight team, the state commissioned a study by a national expert in inmate suicide to produce recommendations for reducing suicides. That 2007 report, written by Lindsay M. Hayes, reviewed only state prisons and identified a number of administrative shortcomings. Hayes declined to be interviewed for this investigation. His report resulted in a number of recommendations that included training staff to recognize suicidal risk, improving screening and identification of suicide risk, making housing suicide resistant, and creating an intervention plan for inmates who attempt suicide. That second report prompted DOC to draw up a formal action plan, and suicides since have remained below the 2006 and 2010 highs. But just as suicide numbers fell in state prisons, they began to rise in county jails. According to data acquired from all 14 county sheriffs’ departments in Massachusetts, suicides in jails began rising from one in 2011 to between eight and nine per year each year from 2013 to 2016. There have been four so far this year. Data from the state Department of Public Health show that opioid-related overdose deaths started increasing in 2011 to 656 from 560 the previous year. Deaths accelerated, hitting 961 in 2013 and 2,069 in 2016. Bristol County jail had the most suicides from 2006 to 2016, with 12. Ten of those occurred since 2012, when opioid-related deaths began to climb statewide. Suffolk had nine suicides from 2006 to 2016, followed by Worcester and Essex with eight, and Plymouth and Hampden with seven. Four county jails - Berkshire, Franklin, Hampshire and Nantucket - had no suicides during that time. Altogether, 59 inmates committed suicide in county jails - more than half of the 101 total inmates - in that time. Most of them were pretrial detainees, in jail awaiting hearings and trials. State Sen. Jamie Eldridge, D-Acton, filed a bill that would study suicides in jails and prisons, both among inmates and among correctional officers, which he said is also high. One solution for Eldridge and others is to keep addicts out of jail to begin with. “I really think it’s about reducing the incarceration of people for drug crimes and just avoiding them being convicted of anything in terms of drug crimes,” Eldridge said. The state is starting to focus effort on the problem. In July, the governor’s office announced $2.3 million in grants to sheriffs, district attorneys and state prison agencies for drug treatment and prevention, or for diversion of suspects from the criminal justice system. It is the second round of grants, following one last year. The grant money is for a range of treatment services including clinician and nurses, case managers, beds, Narcan, and a new addiction task force. And on Aug. 7, the state announced another $500,000 in federal funding for opioid treatment for inmates about to be released. That program - targeted specifically for Bristol, Franklin, Hampden, Middlesex and Worcester counties - includes access to an injectable long-term opioid addiction treatment drug, and case management services. But those things are for inmates about to be released, not those just incarcerated and enduring withdrawal. Karen Roy and Alicia French think the state and the sheriff failed Brandon. Brandon Roy was arrested on felony theft charges. The history behind those charges will sound familiar to those close to addicts. Over the course of a few weeks, he stole money, tools, and jewelry from his family. At one point, he pulled more than a thousand dollars out of his parents’ bank account using his father’s ATM card. To get the money back from the bank, Brandon's father, Raymond Roy, said his bank told him he needed to press charges against his son. Reluctantly, and at wits end, he went to Dartmouth police, hoping a run-in with the law would serve as a wakeup call. At the same time, the family tried to have Brandon involuntarily committed to drug treatment, using a state law called Section 35 that allows family members and police to petition a judge. But, Karen and Raymond said, it backfired. Police took Brandon Roy into custody on Oct. 31, 2016, for the Section 35 evaluation and hearing. The court clinician reviewed statements from the Roys, who told the clinician Brandon was using heroin and had threatened suicide earlier in the year. And she evaluated Brandon, who denied everything his parents reported. Those inconsistencies led the clinician to recommend against commitment for drug treatment. So Brandon Roy was sent to jail to be arraigned on felony theft charges, rather than to a drug treatment center. “I really believe that if they had sent him to detox he would still be with us today,” Karen Roy said.